Besides eliminating the dust, with these natural products, we disinfection the surfaces and provide a protective layer that, in turn, gives brilliance. The powder is a combination of particles of earth, pollen and other volatile substances that enter the environment at home when we open the doors and the windows and through the shoes. Can be a problem for your health, because it easily passes through the respiratory system, irritate the lungs and cause allergic reactions. The worst thing is that it is inevitable that reaches the interior of the housing and requires constant cleaning to prevent the annoying effects. The furnishings are the elements that tend to accumulate dust and, with the passage of time, they can appear opaque to this design. Considering that it is essential to clean them more, on this occasion we want to share the recipe for a natural sanitizer that will facilitate this task. Learn how to prepare it! This natural product for the furniture is the result of a combination of natural ingredients, the properties of which make it possible to remove dirt without altering the color of the object and making it shiny. Unlike products on sale for this purpose, it does not contain aggressive chemicals and, therefore, is environmentally friendly and not harmful to health. 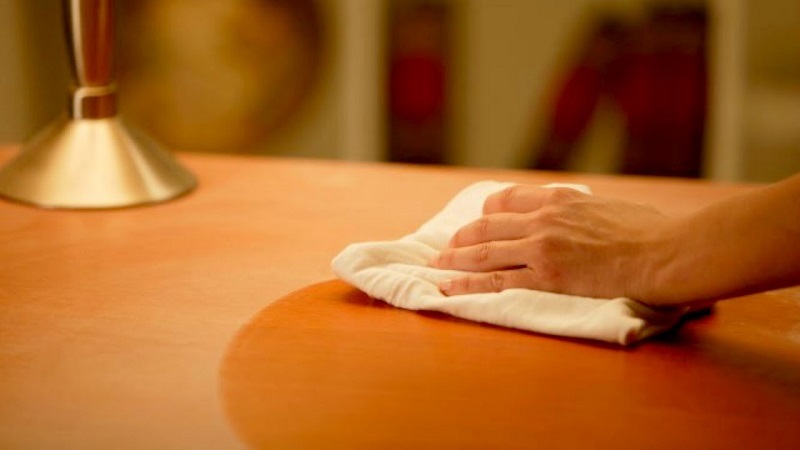 It serves to remove dust that accumulates when we produce a daily cleaning of the furniture. It contains olive oil, a very popular product for domestic work, which is also used to cover the scratches of wooden furniture and protect wicker surfaces, metal and glass. Since in this case you do not employ a nutritional or cosmetic purposes, you can use any refined presentation, or the one put forward by the food preparation. 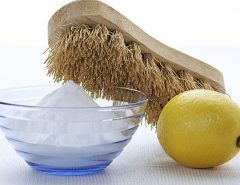 We also use the wonderful lemon essential oil which, in addition to having a pleasant aroma, is rich in antibacterial and antiseptic substances that enhance the effects of cleaning. It destroys allergens and eliminates dust mites, bacteria and other microorganisms. Finally, we find the white vinegar, an ingredient used since antiquity as a green cleaning product. Its natural acids remove any dirt and alter the conditions they require pathogens to proliferate. As a result, the furniture is free of odor and shine like new. How to prepare this natural product? As with other ingredients intended for natural cleansing, those present in this product are very easy to find and does not represent a danger to the skin or the respiratory health. We suggest you prepare a moderate amount, so that its properties are not lost with the passage of days. Pour the olive oil in a bowl and add to the teaspoon of lemon essential oil. Mix well with a spoon and add the white vinegar and the amount of water indicated. After obtaining a homogeneous product, pour it in the spray container and proceed to the use. Sprinkle a good amount of product on mobile, wait a while and spend a microfiber cloth to remove dust. Repeat the action if you notice even dirt or stains. You can use it on wood, leather and glass furniture. If after removing the dirt furniture is still opaque, consider this one simple product based on olive oil and juice of lemon. Add the olive oil with the lemon juice and rub vigorously the mixture on the furniture, with the help of a cloth. Wait for it to dry before placing objects. You must prepare it in small quantities, because you can not keep. Keep in mind these simple tips and you discover that the cleaning of your furniture is not at all complicated when you have good allies.